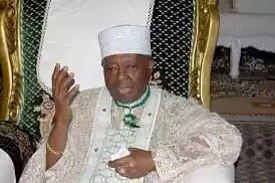 The Ooni of Ife, a foremost traditional ruler in Yorubaland, South Western Nigerian, Oba Okunade Sijuwade, is dead.Oba Sijuwade died in London, United Kingdom Tuesday evening, at the age 85, Ile-Ife sources confirmed. The late monarch was born on January 1, 1930. He reportedly fell critically sick last week before he was flown to London. Oba Sijuwade inherited the Ooni stool in 1980, becoming the 50th monarch of Ile-Ife regarded as the source of the Yoruba people. While he lived, one of the defining aspects of his reign was rivalry with the Alaafin of Oyo, Lamidi Adeyemi, over supremacy claims. In February 2009, Mr. Sijuwade ended the Ife-Modakeke crisis, a crisis that led to destruction of property, severance of family ties and loss of lives, following his resolve to elevate Ogunsua of Modakeke to the status of an Oba. The late Ooni was said to be a successful and wealthy businessman before he mounted the throne in 1980. Also, by the age of 30 he was a manager in Leventis, a Greek-Nigerian conglomerate. 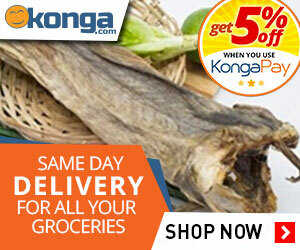 In 1963 he became Sales Director of the state-owned National Motor in Lagos.